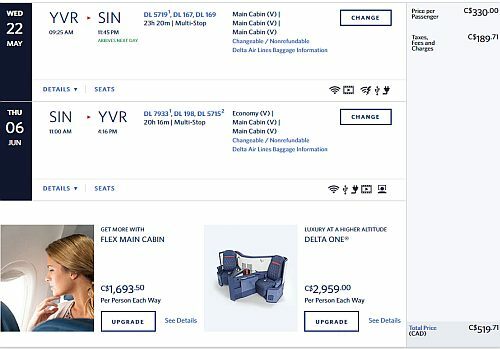 Delta is showing flights from Vancouver to Singapore for between $519 and $544 CAD roundtrip in May and June 2019. The flights have 2 stops each way (Seattle and Tokyo on the way there. Seoul and Seattle on the way home) . 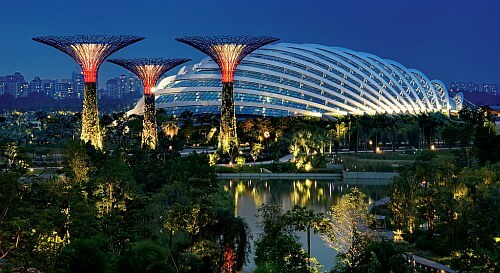 vancouver, yvr, flight deals, delta, asia, southeast asia, korean air, singapore and sin.